This will kill the town! | Curly's Corner Shop, the blog! This will kill the town! THE introduction of pay and display parking meters near South Marine Park in South Shields will deter visitors coming to the town, critics have claimed……..
Coun Ahmed Khan, Independent Alliance representative for Beacon and Bents, has claimed parking charges were becoming a “cash cow” for the council and predicted that the cost of the residents’ parking permit would spiral year on year. He said: “The top and bottom is that there is no such thing as a rationalised parking strategy. “This is purely about one thing, and one thing only, that’s generating extra revenue for the council. “Increasingly, motorists are being taxed in all kind of ways and it’s becoming obvious that they are, in effect, cash cows, that the council feels can be milked for every last drop. Nice to see that Cllr. Khan is agreeing with me on at least one thing, however I do disagree that these schemes will kill off the town or deter visitors, I took this picture less than an hour ago, it has been a fairly dreary grey and damp Monday in the middle of August with no great reason to be visiting South Shields. Yet, as this picture clearly demonstrates there are only three spaces left available at the end of the afternoon, people are obviously using these spaces and happily (well, perhaps grudgingly) paying for them, even at this late stage of the afternoon usage of these parking spaces is very much as you would normally find on a Monday. Drivers have not been deterred! We are still generating visitors to the town centre and generating needed revenue, however as the world stares down the gun barrel of economic disaster caused by the building of debt mountains by ever profligate governments, shouldn’t we be looking at every possible way to stop our spending instead of squeezing more money from the people at the bottom of the pile, we are after all the ones you will increasingly rely upon to provide the Holy Grail of economic growth! The other bi-product generated by this move is the self publicity for a man named as the defendant in a USA court over a pretty unsavoury business, a man who so far has failed to propose any sensible or useful policies that may help South Tyneside Council out during the current economic crisis, and as far as we are aware has failed to make a single policy proposal that has been accepted and could be said to “have made a difference”. Own goals do not come cheaply. Never heard so much ill planned , ill thought out statement in all my years. If you can afford a car its only right you gotta pay to park it . Next Ahmed will be wanting free ice cream for the visitors . The vacant shops are mainly due to the internet , Why by a tv set from king street for 400 quid when the same one is online for 100 ?. No one seems to question the high cost of parking in Newcastle or Sunderland. The Metro Centre might be free but it will cost you more than £2 in petrol to get there and back. Free parking simply means people leaving their cars and travelling on the metro out of town. Everytime I go down street the car parks are full. 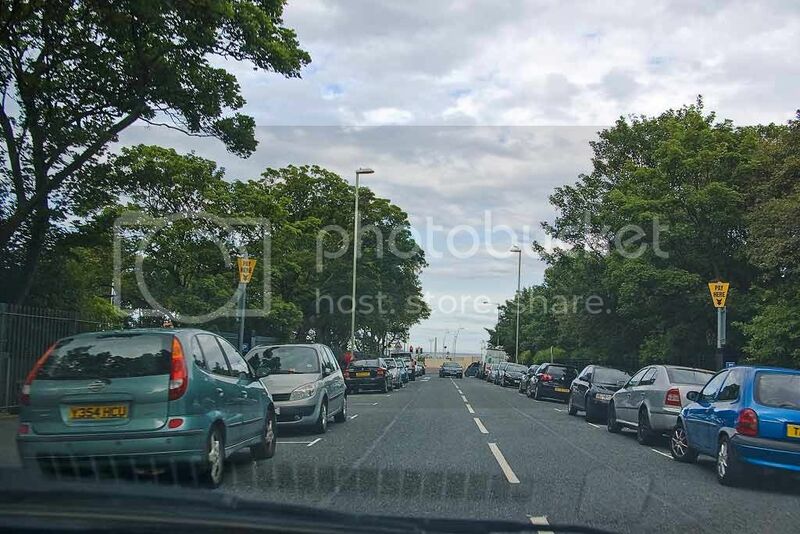 There are more free car parks in South Shields than the rest of the Borough put together. The Internet, out of town shopping malls, even TV channels are changing the nature of the way we shop and in turn the nature of town centres (and yes the Market itself). Young people don’t want to shop for bargins in the Market they want to surf the net for them. The challenge is to find a niche market for the town – build on our River and Foreshore so that people will travel into the town centre once they have been to either place. And while I am at it, the Council don’t own the shops in King Street neither can they set the rates. Curly you’ve already shown us how parking and tickets are more expensive in Northumberland, where do these dafties get there ideas from? The only thing that would kill the town would be 30 Independent councillors, because they are clueless. Wouldhave House, South Shields « Curly's Corner Shop, the blog!